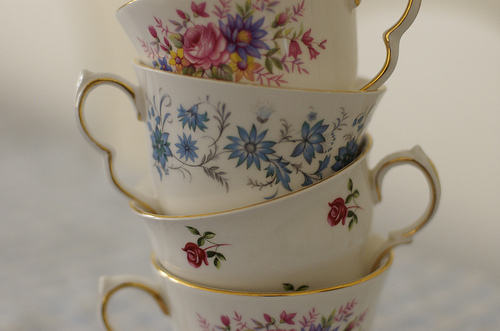 This time obsessions: vintage cups. They all have something poetic, reminding you of ancient love stories, family affairs, big political reunions or delicate old times rendez-vous. They look good in your kitchen or even in your bedroom, with a candle inside (romantic and ingenious). One of our favorites is Lefton China Teacup from Etsy. It has a delicate gold motif and a gold handle, and costs 8.00 dollars. On Classy Option we found wonderful rare tea cup and saucer from Radfords, with a yellow and black detailing. 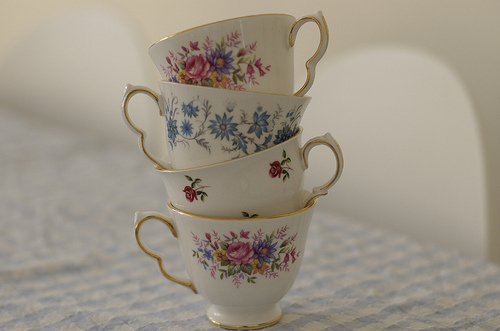 A rarely beautiful vintage tea cup set is also that on the Step toes Antiques. 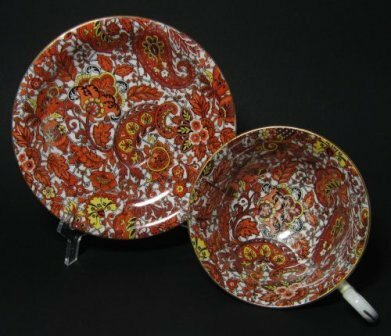 The products are hand-painted, made from a very fine white china and cost £36.50 / €41.61. 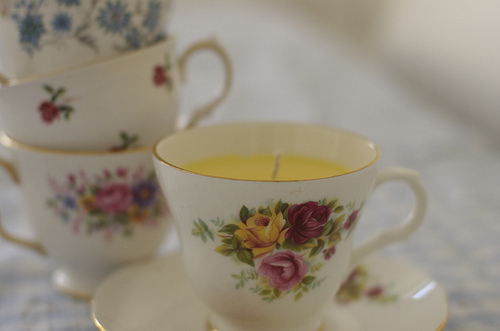 At little doll face we saw the vintage tea cups transformed in candle holders, a great Christmas or Easter present. 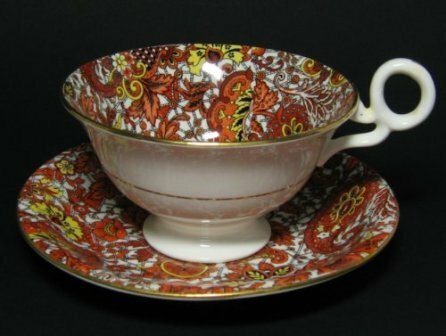 And last but not least, Chamberlain's Worcester Cup & Saucer from Everythingstopsfortea.com, in a very good condition, and a price to suite that: £95.00.